Today, it is no longer enough to provide products of perfect quality. They have to be designed so that they meet the customer’s individual needs. 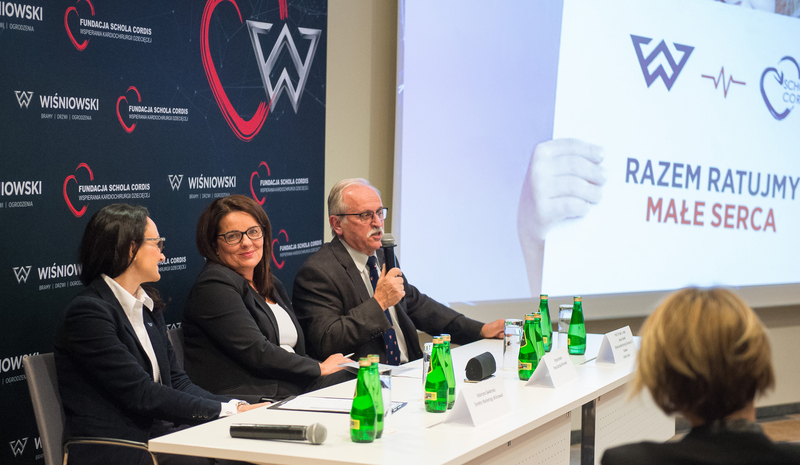 In an effort to meet these expectations, one of the leading Polish manufacturers of gates and fences – the WIŚNIOWSKI company – effectively implements technological innovations, gradually introducing the Industry 4.0 concept. The Industry 4.0 concept assumes the use of technical solutions such as the Internet of Things, data analytics, and cloud computing in manufacturing plants, combining the physical equipment supporting the production process into a network. 1. Smart automated plant – for high-volume manufacturers competing in prices. 2. Customer-centric plant – for manufacturers who combine a high production volume with a high degree of individualisation. 3. E-plant in a box – for manufacturers of specialised subassemblies and low-volume products, where the specific nature of the market requires mobility. The decision to select a specific model or models should be made consciously by the management board. Meanwhile, observation of the Polish market suggests that while it is easy to find companies which invest in automation (model no. 1 – smart automated plant), it is a much bigger challenge (and an opportunity at the same time) to build a customer-centric plant with a long-term development potential, based on the ability to create and meet the needs of the product’s user. Thanks to the use of innovative technologies, the concept of a customer-centric plant is perfectly in line with the philosophy of the WIŚNIOWSKI company – manufacturer of garage doors, gates, and fences. Its history shows that the company not only follows the latest trends, but often sets them itself. For nearly 30 years now, it has strived to provide comfort and safety for homes and enterprises all over Europe. The company’s technological and logistics centre ensures quality and the highest standards, and continuing improvement and development of the personnel, products, and technological lines contributes to the manufacture of products at the highest level. In this context, in order to meet the growing demand, it was necessary to implement automation and robotisation solutions thanks to which the efficiency of production and the quality of the finished product could both improve. The company’s management board decided to invest in automation and robotisation. The concept of robotised welding of fencing systems already emerged in its plans several years ago. Due to the broad spectrum of types and dimensions of the manufactured products, the automation of this process at WIŚNIOWSKI was a very difficult task. It was carried out in two stages. The first one was launched in the years 2014/2015, when the first station for robotised welding of fencing systems for individual customers was deployed. In the years 2016/2017, the second stage – automation of the process of welding industrial fencing systems – was implemented in cooperation with the ASTOR company. In the process of welding automation, ASTOR delivered state-of-the-art robots and control systems, as well as added value: optimisation of a larger process – order flow and completion. The automation of this process eliminates a number of effects which are revealed as a result of traditional – manual welding. These effects include: lead time, the aesthetic quality of the weld, and the need to machine the weld after the welding process. In the case of traditional welding, high temperatures deformed the structure, lowering the efficiency of the process in terms of quality, organisation, and costs. The order is automated already when it is placed at a point of sale. The software, developed and implemented by the integrator, ensures seamless synchronisation of the order saved in the ERP system with the program for industrial robots. This made it possible to make substantial time savings in the process of production, and thus also order completion, and optimise the workflow of programmers and operators of the welding station. The robots guarantee repeatability in terms of welding quality. The welds look very aesthetic and are perfectly prepared for further manufacturing stages. The system also considerably increased the comfort of work for the employees thanks to the ease of operation, a user-friendly interface, and the specially prepared, automatic lifting of the trough, enabling convenient product loading and unloading. Additionally, the use of robots allows the operators to develop their professional qualifications, also by means of the training courses organised by the ASTOR company. Thanks to the introduction of the system, it was possible to structure and systematise the production process. This supported technological processes in all the areas – from production planning, through execution, to actual results monitoring. The production process became more predictable and precise. The system also made it possible to shorten the mass production lead time – mainly in the context of export orders – and to change the workflow of the technology department. The system was introduced where there was a need to perform repeatable and monotonous tasks and where the working conditions were onerous for the employees. The robotisation of production resulted in an increase in efficiency, improved quality, and stabilisation of the technological processes, and additionally shortened the time of task execution. The introduction of the system also enabled the company to optimally adapt the space of the manufacturing floor. Automation made it possible to maintain the dynamics and flow of production, and to manufacture to order. We automate and robotise processes streamlining production. We implement state-of-the-art technologies in order to improve the quality and efficiency of the manufacturing processes, but primarily, we focus on people, their safety at work and the development of their competence, in accordance with the latest industry trends. As a result, we have increased efficiency at this stage of production threefold.